CANCELLED: Rep. Randy Weber has cancelled his appearance at this Town Hall, therefore, the event is cancelled. Please stay tuned for the rescheduled dates coming soon. 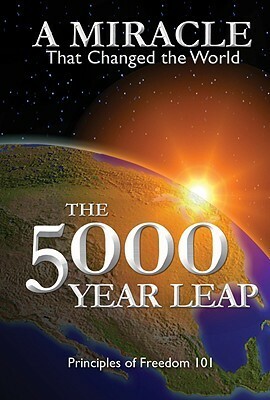 Join us to continue our study of “The 5,000 Year Leap” presented by our own Jim Logan. Part 2 will focus on the first 7 (of 28) Principles of Freedom our Founding Fathers said must be understood and perpetuated by every people who desire peace, prosperity, and freedom. The meeting will begin at 6:30 on Tuesday, June 18. Please come early and support Big Horn BBQ restaurant. This is a free event/meeting, but your Dinner and drinks are on you. Please feel free to bring your friends, family and neighbors. We’re looking forward to seeing you there! The nation the Founders built is now in the throes of a political, economic, social, and spiritual crisis that has driven many to an almost frantic search for modern solutions. The truth is that the solutions have been available for a long time — in the writings of our Founding Fathers — carefully set forth in this timely book. In The 5000 Year Leap: A Miracle That Changed the World, Discover the 28 Principles of Freedom our Founding Fathers said must be understood and perpetuated by every people who desire peace, prosperity, and freedom. Learn how adherence to these beliefs during the past 200 years has brought about more progress than was made in the previous 5000 years. These 28 Principles include The Genius of Natural Law, Virtuous and Moral Leaders, Equal Rights–Not Equal Things, and Avoiding the Burden of Debt. 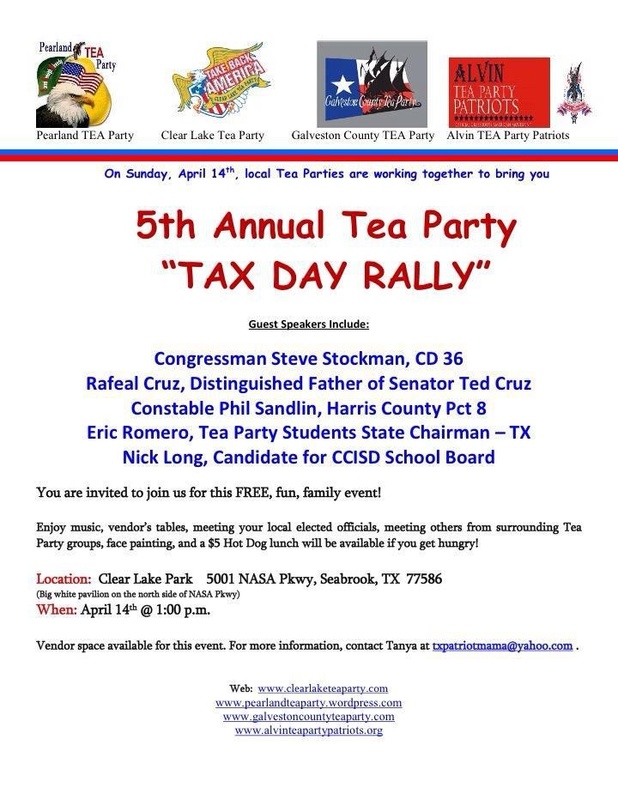 You, your friends, neighbors and family are invited to a co-hosted Tax Day Rally. We are all still Taxed Enough Already — Join us!